Dravida Munnetra Kazhagam (DMK) MP Kanimozhi on 31 March, 2017 joined the Tamil Nadu farmers, who have been staging a protest at the Jantar Mantar for the past 18 days demanding drought relief package from the Centre, and lashed out at the BJP-led NDA regime for not addressing their grievances. "They are protesting for more than 18 days demanding loan waiver. Crops have dried and there is no water. Tamil Nadu has not seen such a drought. The Central Government has not responded so far. 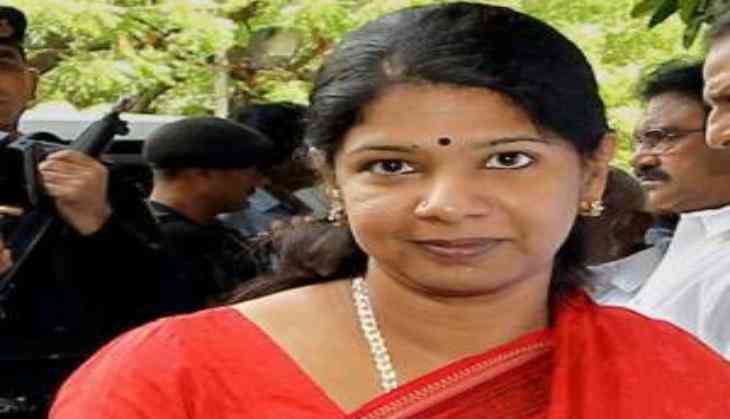 The farmers are not being assured from the Centre," Kanimozhi told the media. The farmers have been demanding that their loans from nationalised banks be forgiven, fair and just prices be set for their produce besides realistic solutions to address water scarcity in the state. All India Anna Dravida Munnetra Kazhagham (AIADMK) member and Lok Sabha Deputy Speaker M. Thambidurai had earlier this week visited the agitating farmers at the Jantar Mantar and assured them that their grievances would be placed before Prime Minister Narendra Modi at the earliest.